Ladies and Gentlemen! After a long time, our team is back in operation, and with new experience and tools we're starting the machine, called 'Criminal Tribe ltd.', at full power. So be prepared for an awesome upcoming season with 6 singles and 3 full-length albums, plus some free material, which will hold the same level of originality and quality as the official releases of various Western well-known labels. Under the anniversary number CTR030, this series of releases is opened by one, I’m not afraid of this word, of the best #IndustrialBreakbeat contemporary artists: our resident, our sound engineer and pro talented musician - Dmitry FB Force! Already on all the world's stores and streaming services, the first single from an upcoming album 'Becoming Bionic', called 'Absurd'! The sound is forged together with the charming English rap singer, #Dekay Please join and taste the sounds of rage and cyber-dimensions! https://hyperurl.co/CTR030 - multi-link for buy / listen / stream_ Single from forthcoming Becoming Bionic LP on November 2018! 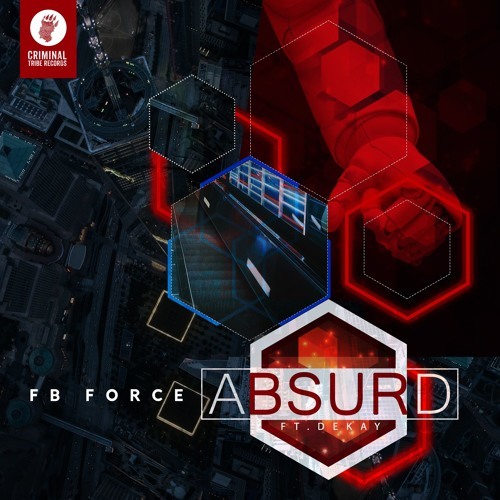 Want to know about it first: Follow FB Force: FB - https://www.facebook.com/feedbackforce/ VK - https://vk.com/fbforce Youtube - https://www.youtube.com/user/fbforce Instagram - @fbforce_breakbeat Soundcloud - https://soundcloud.com/fbforce Twitter - https://twitter.com/fb_force // @fb_force Bandcamp - https://fbforce.bandcamp.com Spotify page – FB Force Follow Dekay: FB - https://www.facebook.com/Dekayrapper Bandcamp - https://dekay.bandcamp.com Youtube - https://www.youtube.com/user/Thereisonly1Dekay Twitter - @DekayRapper // https://twitter.com/DekayRapper Follow CTR: Official Site - http://criminaltribe.com FB - https://www.facebook.com/criminaltriberecordsltd Twitter - @Crime_Tribe_Rec // https://twitter.com/Crime_Tribe_Rec Souncloud - https://soundcloud.com/criminal_tribe_records VK - http://vk.com/criminal_tribe_records Bandcamp - https://criminaltribeltd.bandcamp.com Instagram - @criminaltriberecordsltd Spotify page - Criminal Tribe ltd.